Sixteen years ago, we opened a scoop shop in Downtown Berkeley to bring great tasting gelato with simple, real ingredients to Northern CA. 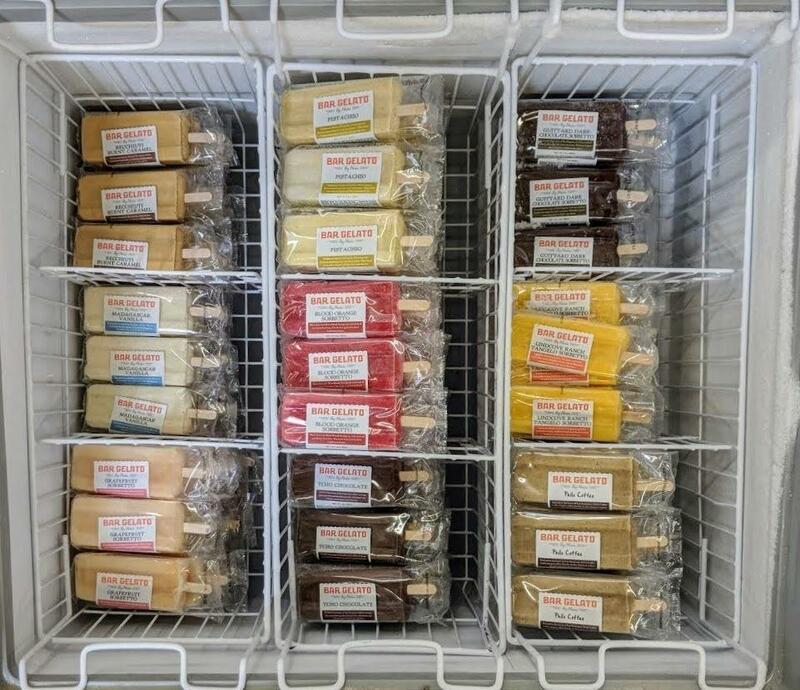 Now we sell gelato tubs and Bar Gelato, our signature "gelato on a stick," in 250+ retailers across Northern CA. 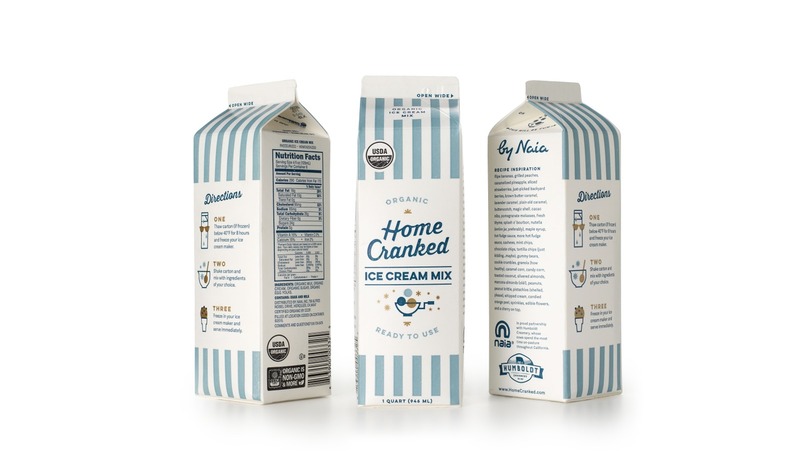 We were named one of the San Francisco Business Times' fastest-growing businesses five years in a row, and with the capital to update and expand our creamery, we're primed to break into the national market. 1 $2.9M in revenues in 2017. 2 Sold in 250+ Northern California stores. 3 51% profit margin for branded products. 4 16 years in operation. 5 Named in the San Francisco Business Times' fastest-growing private company list each year from 2013-2017. 6 Won three national awards for coffee, pistachio, and burnt caramel flavors. Former Director of Engineering turned gelato entrepreneur with 18+ years in product development. 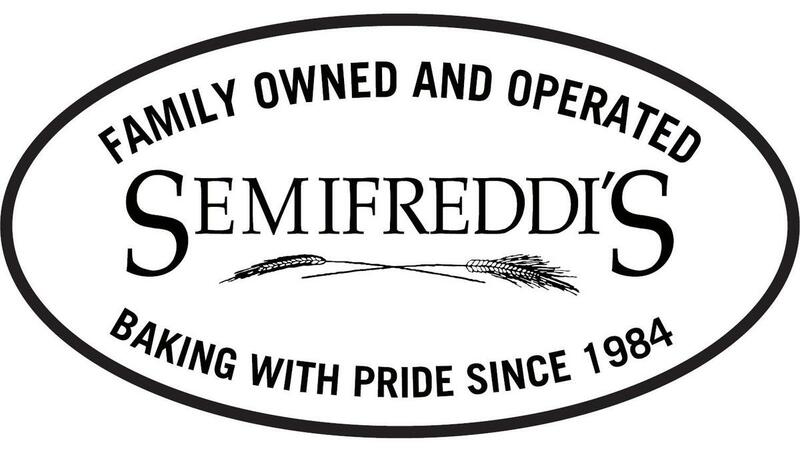 28+ years in food & beverage operations including Brinker International. Grew up on a dairy. 28+ years in distribution and sales management at Loacker’s cookies and other ice cream companies. 20+ years in distribution and ops management at Coca-Cola, Foster Farms Dairy, and Markstein Sales. 13+ years with Naia at nearly every position in the company. 25+ years of experience with startup and enterprise accounting. 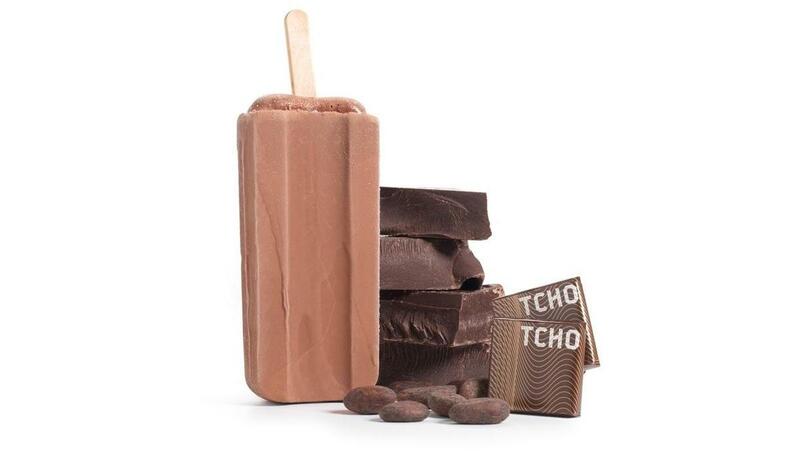 TCHO was founded back in 2005 to set a new bar for new American chocolate. Along the way we met Chris and Trevor, who took a look at our entire chocolate making process and figured out a unique way to get the essence of TCHO into gelato form –– and it’s delicious. A few years later, we came up with the idea of "Galactic Gelato" and asked Naia to figure out how to get mint gelato into our chocolate using an astronaut-ready freeze drying process. They think outside the box, and you can taste it in their gelato. Naia is more than just yummy gelato and ice cream wizardry. The food business is tough, but these guys have been around for sixteen years and they’re still hungry, and still scrappy. 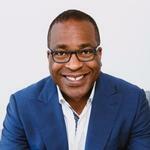 Naia Investor, Founder of WIRED Magazine, Former President of TCHO Chocolate. I enjoyed my first cup of Naia's gelato 15 years ago, and kept looking forward to my next. Nine years ago while on the board at ICA [Inner City Advisors] I met Chris and Trevor, and took a personal interest in helping the company grow their team and their reach. These guys are resourceful, smart, and aren't afraid to think different. They run a tight ship with fair but firm leadership. They have shown extraordinary endurance in running an entrepreneur's marathon. And I'm impressed they were able to win over the bank's due diligence and commitment first, *before* looking for equity here. As I have been following Naia over the years, I came to enjoy how the owners applied Lean Startup principles to a gelato company. I came to admire their deep operational competences about manufacturing, distribution and branding, putting scarce resources to work efficiently. And yes, gelato is leaner than traditional ice cream (as I'm writing this, I have three Naia tubs in my freezer). 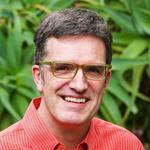 A former FOOD FUNDED finalist, Naia's transparency about sourcing their ingredients from local suppliers is well in line with where customer demand is growing. I discovered Gelateria Naia in Berkeley where I sold tofu at farmers' markets. The gelatos had tastes of seasonal fruit and innovative nuts, rich and decadently delicious. Since those early days more than a decade ago, I have gotten to know how Chris and Trevor managed to grow Naia in a steady and sensible way, from the ground up. I look up to Naia as a model for sustained growth, with the ability to innovate and pivot agilely with each opportunity. Naia is poised for the next phase of growth. It is no small feat that they have managed to get the bank's approval for this big loan before seeking equity investment. Not every food company offers an opportunity like this! All about strengthening communities by rebuilding local economies. 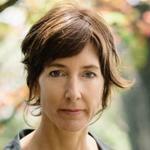 Co-founded Credibles (@EdibleCredits). @SlowMoney investor. We've been making gelato since 2002, when we opened our first scoop shop in Downtown Berkeley. Over the years, we developed our own flavors made from the native, high-quality ingredients Northern California is known for. Our local customers have noticed, as we've been listed in the San Francisco Business Times' fastest-growing private company list each year from 2013-2017. When Whole Foods stopped featuring in-store gelato stations in 2011, we created a brand new product for the market – Bar Gelato. It's the same great Naia gelato, just in a portable, easy-to-consume design, and it makes up a quarter of our revenues. "Real, simple gelato" isn't just a marketing gimmick. While most industrial ice cream factories use a squirt of "natural flavor goo," we use real ingredients from the best local producers we can find, whether it's pistachios from Fiddyment Farms or coffee beans from Philz. And we do it ourselves, from developing our own recipes from scratch to delivering it on our own truck. About 45% of our business comes from developing, manufacturing, and distributing our own products. As we grew, we became a great delivery option for other brands, a branch that now accounts for 45% of our sales. The last 10% comes from leveraging our expertise to develop and manufacture products for other brands. Vertical 3-stage pipeline from ideation to shelves. All of them supplied by our own small, central kitchen. We've also got dozens of other foodservice accounts. By adding other ice cream brands to our delivery trucks we start doing distribution. Plus, we made San Francisco Business Times' Fastest-Growing Private Companies List each year between 2013 and 2017! We are here to leverage the success we have had with our products in Northern California and grow our company to a national level and beyond. Given the success of our flavors there's no reason why Naia's products should not be in every major retailer. Chris: I started the company in 2002 with two friends, Bobby and Rick. 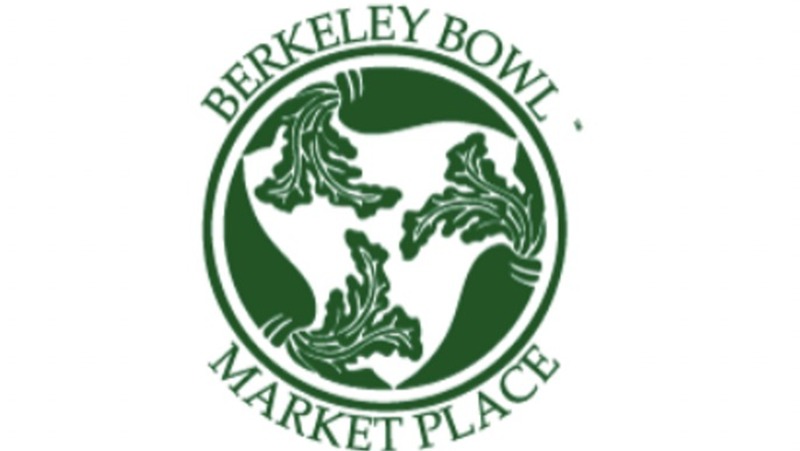 We had our own scoop shop in downtown Berkeley, and were instantly successful with lines out the door. We had to sort out a lot of problems right away because of that success, and thankfully found Trevor, a food operations veteran. Trevor: In the early days, we made gelato in the back of the shop and sold it out the front. We did well at scoop shops as we were the only folks who made gelato or ice cream from scratch recipes. Making our own product attracted companies like Whole Foods Market, selling our gelato in their stores at their bakery/deli gelato stations. Chris: After they stopped putting in gelato stations in 2011, we saw the opportunity to innovate another “first to market” product - Bar Gelato. 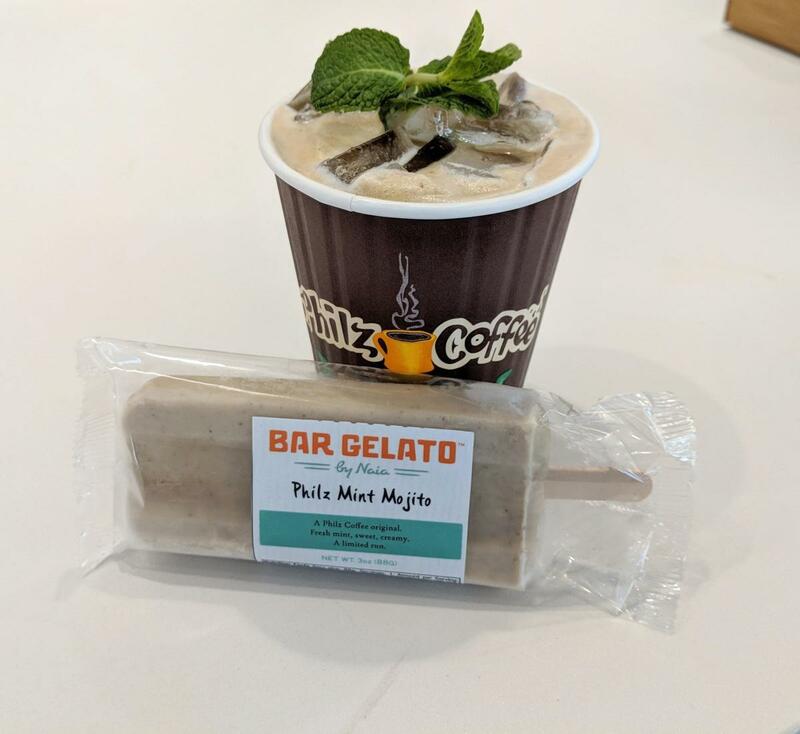 Bar Gelato is “gelato on a stick” – it’s never been seen before quite like this – and early on we wanted to be able to differentiate ourselves from the sea of pints, and sea of brands, in the frozen ice cream aisle of your typical grocery. Trevor: Our brand is about products that taste great and use simple, real ingredients. We innovate and craft products that people have never seen. In the ice cream space it is seductive to try and chase this idea of making the wackiest or unique flavors, or follow a hot dietary trend. Those get a lot of instant attention, but in the long run do not sell as well as products that just taste really good. Chris: Another gimmick in our space is playing up chef pedigree, which can also bring in a lot of instant attention. But you don’t need to be a famous chef – you need to be a good business person passionate about food. We are simply two people passionate about intrinsics like great tasting product while running a sustainable business. 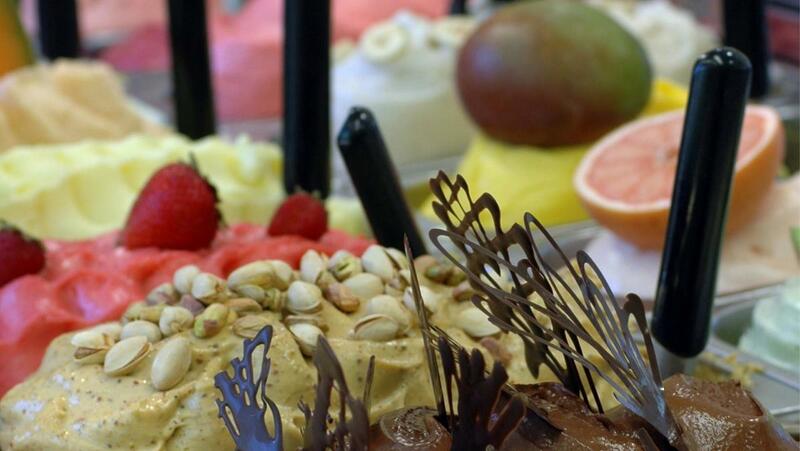 The nature of gelato focuses the palate on its characteristic flavor. Instead of our own pedigree, what becomes important is our relationships with local food producers and farmers. We capture this in our motto “Truth in Flavor”. Trevor: Being in Northern California we have access to so many great producers who are passionate about their food and we try to capture that passion in gelato form. 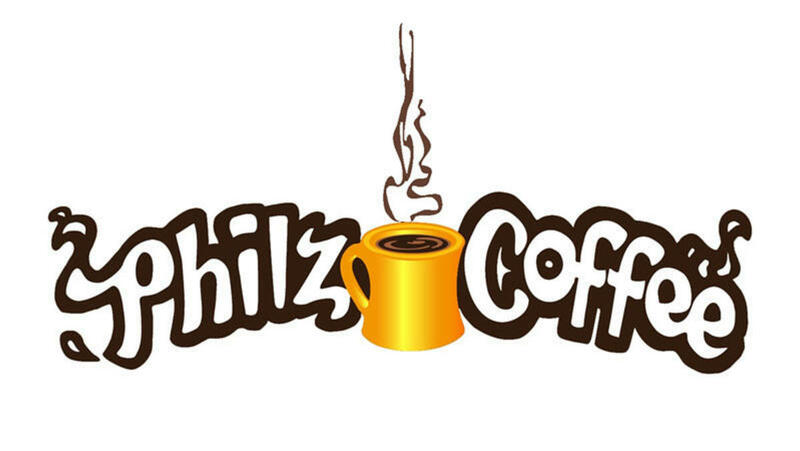 So when you taste our Philz gelato, you are tasting the same Philz beans that go into a cup of coffee at their roastery. Fiddyment Farms grows their pistachios fifty miles away from us and their pistachios are hand-roasted and hand-milled into our pistachio gelato. The farmer behind Lindcove Ranch delivers a literal ton of Minneola Tangelos himself for our sorbetto so we can churn our sorbetto without pasteurization or chemical preservatives. 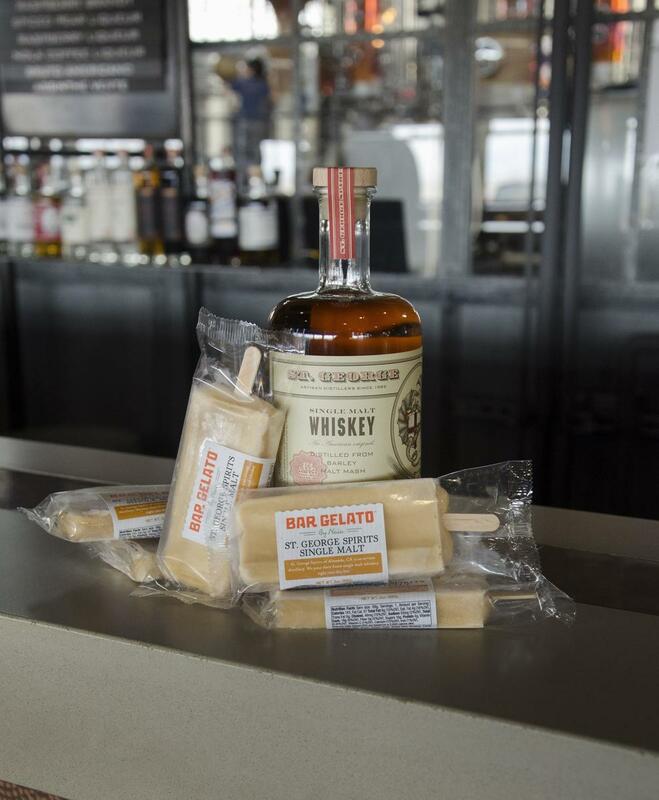 We tap off an eight-year old single malt whiskey at “cask strength” from St. George Spirits in order to properly churn a single malt whiskey gelato. Our bars have won three national awards for our coffee, pistachio, and burnt caramel. Chris: Our mission statement is “Naia is all about real, good gelato and ice cream”, where “all about” refers to all business aspects including R&D, manufacturing, and distribution; and “real, good” speaks to our integrity for simple and real ingredients. A lot of food businesses in this era are founded by one or two MBAs who focus on brand mechanics and marketing. They contract a formulator to come up with a recipe; farm out the production to a factory for hire; and get their goods to market through large distributors. They rely on venture capital and hope for a big payday. There’s nothing wrong with that and that’s one way to run a business.. But when we practice Truth in Flavor it means that we do the work ourselves, developing our own recipes from scratch, churning our own gelato, and bringing it to folks at market on our own trucks. We do it ourselves because you can taste the difference - we are not just another similar-tasting offering out of the same industrial food factory. We start from the ground up, integrating the local foodshed here in Northern California, and focus on making ice cream with integrity. 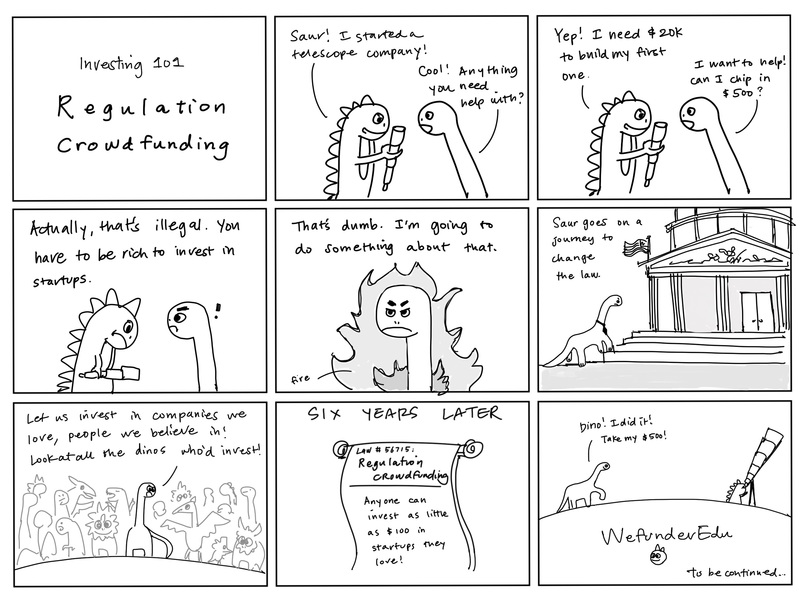 That’s not a familiar play for venture capital and so may be a better fit for Wefunder investors who also care about these intangibles. Trevor: When we launched Bar Gelato, Whole Foods told us if we could reach a certain sales level within a year in four test stores, they would call it a success. We reached that sales level in one month! 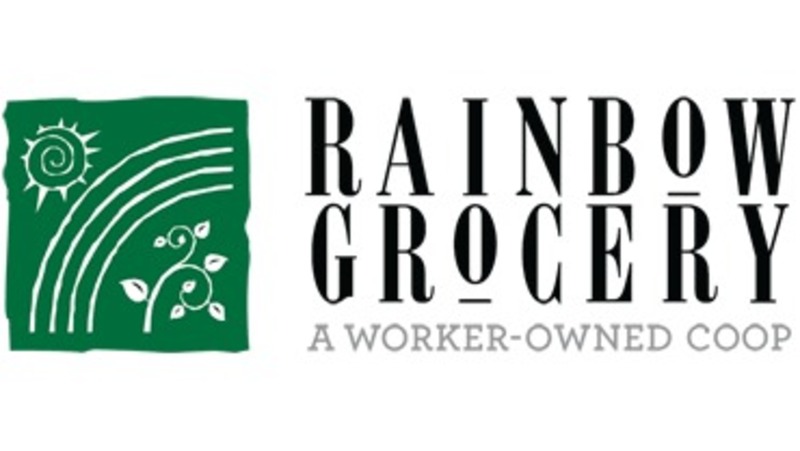 They deployed us to all the Whole Foods locations in Northern California, and as we grew, we started adding other independent grocers besides Whole Foods. 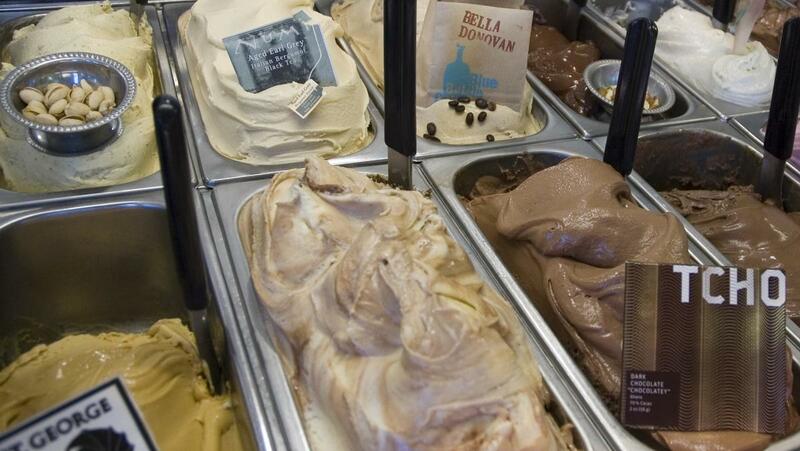 Today, we sell Bar Gelato to around 250 accounts in Northern California. Trevor: Our primary revenue stream is from selling our own Naia products. We develop, manufacture, and distribute our own products from an idea all the way to a retailer’s shelf. We also provide these same three services to other ice cream companies, where we derive revenue from R&D in developing other branded lines and products, manufacturing or co-packing other products, and distributing these other products. Chris: Our annual revenues were ~$2.9 million in 2017. More than a quarter of that comes from Bar Gelato. After a few years we have also been turning our attention to traditional pints and tubs of Naia gelato which have nearly doubled in sales year-on-year which bring our Naia branded sales, along with wholesale gelato sales, to ~45% of our total sales. Another ~45% of sales come from the distribution of third-party products. As we grew, we became a great delivery option to those 250 accounts for ice cream brands like McConnell's Ice Cream, Humphry Slocombe, Clover Ice Cream, and Double Rainbow. The last ~10% comes from both R&D and manufacturing for other brands such as Clover-Sonoma and St. Benoît Creamery. Wait a minute, does that make sense? Why would you work so closely with competing ice cream brands? Trevor: The truth is we can't stop people from competing against us, but what we can do is try and earn some money while they're trying to make money on their own. I mean, if you go to your local supermarket, there’s no possibility that the freezer will have just one brand of ice cream. They need to have more brands as well. Put another way, some of the most successful folks in the gold rush were the folks who sold picks and shovels to the miners. That’s a benefit to being scrappy and resourceful. We got help from other people in our ice cream community when we got started, and together, we can all make better products, which is important. When we started out, no one else could help us do the hard work of managing and growing a local manufacturing workforce in a nation and region that hasn’t recently done a lot of manufacturing. Sixteen years later it’s one of our strengths, and business from these other brands helps keep our kitchen busy. Chris: It’s also that Northern California is a pretty special ecosystem for food businesses, and that it is possible for us to “incubate” some brands here that may do well nationally, which helps everyone out. This doesn't mean that we aren't cognizant of direct competitors and we have said no to certain competitors. We tread carefully, but at the same time, there are a lot of benefits to partnership and collaboration. I mentioned “foodshed” before, and it’s important to note that fluid milk supply has an ebb and flow of which ice cream can be a key part of. We have dairies who approach us with excess milk, and by freezing it into ice cream, we actually help in moderating and adding value to their fluid supply. With our marketing and scientific experience, we have completed the R&D and developed entire lines of products for three Sonoma dairies. Trevor: The money is to scale our flagship product, Bar Gelato. It also upgrades our creamery with a modern continuous freezer. Specifically, the money is going towards a downpayment on a $2.4 million dollar loan from an SBA lender. Chris: We have a commitment letter from First Bank that requires us to raise $490,000 from Wefunder as a downpayment to unlock the $2.4 million dollar loan. It’s good news for an equity investor – you could think of it like every dollar we raise on Wefunder will unlock four dollars of non-dilutive debt capital. Trevor: The loan includes working capital to launch two new products that the upgraded creamery can handle. One is a box of Bar Gelato novelties for national sale, the other is polishing and releasing our pint format of Naia’s gelato for national sale. Upgrading our creamery will allow us to scale Naia’s products more efficiently and with lower cost, and also co-pack more of the products for which we are already doing R&D. With at least $490,000 from Wefunder we will build a multi-million dollar modern and boutique creamery. Chris: Last but not least, if we unlock at least $490k from Wefunder, the bank will also take some of the $2.4 million to pay down some high rate debt. Tell me more about the upgraded creamery. Chris: There are two benefits with our planned creamery. First, food, in general, is becoming more regulated. Besides food regulation, we are also an organic creamery (we produce both natural and organic products). It's going to be harder and harder for folks to start their own ice cream plants because of the high overhead involved with federal and state regulatory laws like the federal Food Safety Modernization Act. It becomes doubly hard when you make minimally processed products without chemical preservatives, synthetic stabilizers, and synthetic emulsifiers. Most modern industrial ice cream plants mainly use a “squirt” of natural flavor goo, where by contrast we actually peel and blend real fruit. Second, many natural, organic, and boutique brands struggle with the price point. When you don’t squirt in natural flavor goos, you add cost because of your care in using real fruit. If you look at the trends – declining revenues in farmer’s markets, Whole Foods Market being acquired by Amazon.com – you may see that high price points have begun to drive away sales. Folks do appreciate great food, but they aren’t as willing to pay a high price for it. Sixteen years of experience means a creamery design that can handle real food yet streamline costs, both for ourselves and for third-party co-packing. And tell me about this debt. Chris: Debt has been a problem for us. We have successfully used debt, for example, over 10 SBA loans and some equipment leases, but we have also had to use expensive debt – like to make payroll in winter. That debt is now a burden. This campaign wipes out our debt and stretches it out over 25 years, so instead of making $28,000 in monthly payments, we would be making $13,000 in monthly payments – and that’s after we purchase and build out the improved manufacturing facility! Is this just a pre-approval for a bank loan? Chris: No. As opposed to a “pre-approval”, this is a commitment letter from a commercial bank for the $2.4 million project. It’s been put through underwriting and their credit committee. We appreciate such a strong vote of confidence, as the bank has had to do a lot of due diligence to get to this point. The bank has already had to review and assess our team, our vision, and our financials – and approved it all! Trevor: For us, the target retail price for our products is between $4.99 and $5.99. We believe strongly in the power of TPRs (temporary price reductions). Many people get driven to purchase by the “yellow tag,” myself included, so we frequently use that tactic. After being in business for so long, and gaining a unique perspective as a distributor as well as a manufacturer, we understand pricing better. Sometimes a product that's higher-priced will sell more simply because of the price, and we understand the marketing paradigm of “pricing is the message” – but we have learned first hand that folks in Chicago or Austin may not want to pay the higher prices that San Franciscans might tolerate. We’re not just interested in having people buy our product once – we want them to feel good about the purchase and… buy again! Chris: Our vision is to scale, and our vision is that we have got to pay our coffee roaster and our chocolatier and others fairly. We don't want this to make great products inaccessible, so we need to improve our creamery. Chris: Trevor’s team is efficient with our current yet limited creamery and we are currently at a ~51% profit margin for our branded products. With the new creamery, we will be able to work towards a higher margin, both with the machinery efficiencies as well as increasing our co-packing business to address overhead. More importantly, our cash flow is negative, because of our expensive loans for things like distribution vehicles. Our SBA lender strategized with us on this and came up with a great plan – part of their capital will wipe out that high-payment debt and amortize it over the 25-year loan, which turns our cash flow positive immediately. Can you tell us more about the dip in sales from 2016 to 2017? Chris: One of our larger customers, Whole Foods Market, publically went through a tough time pivoting the company and ultimately getting acquired by Amazon.com. As part of the pivot, the global team stopped purchasing some of the third-party brands that we distributed to them. Thankfully our great relationship with the regional team in Northern California compensated for this loss of business by putting more Naia products on their shelves. Our third-party brands we distribute are lower margin than the Naia brand gelato that we develop, manufacture, and distribute. On top of that, our upside potential is all about our Naia brand. Thus the end result is that while our top-line sales declined, our margins improved and our brand reach was enhanced. What are your goals for the next phase of growth? Trevor: For our gelato, we hope to push out to a national scale. 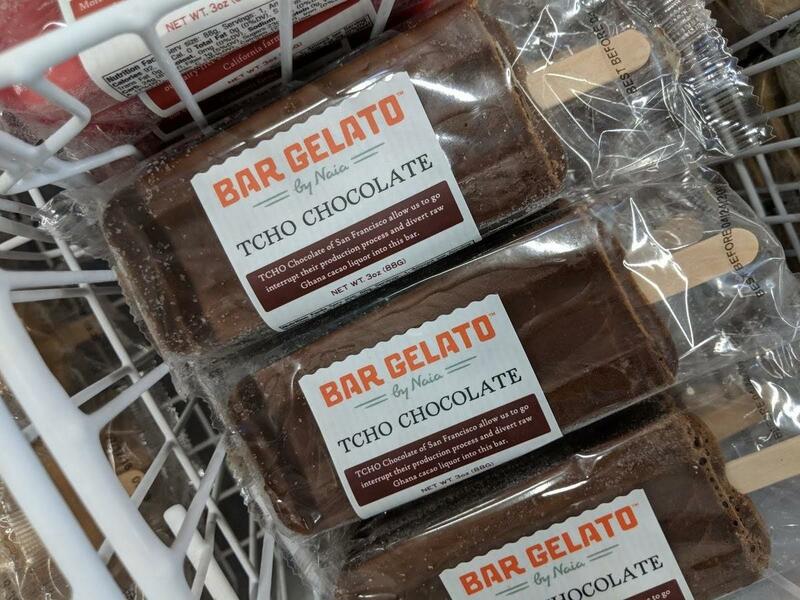 Bar Gelato has already done so well for us here in Northern California, but how we're selling it now, out of the freezer, grab and go — it’s great for sales, but it's hard to distribute that product in other places. What we're going to do is put our bars into boxes and put them on the shelf in more of a traditional format, but we've been figuring out a way to do this that speaks to our brand. Our Bar Gelato multipack box will be innovative in how we are making it a variety pack. Our idea with a Bar Gelato box is to make multiple flavors or variations, but on one theme: If you like coffee, there are going to be three different kinds of coffee flavors. If you like chocolate, there are going to be three different kinds of chocolate flavors. Same with citrus, and so on. That way, we can produce a limited amount of SKUs, but those boxes will each have variety in them. 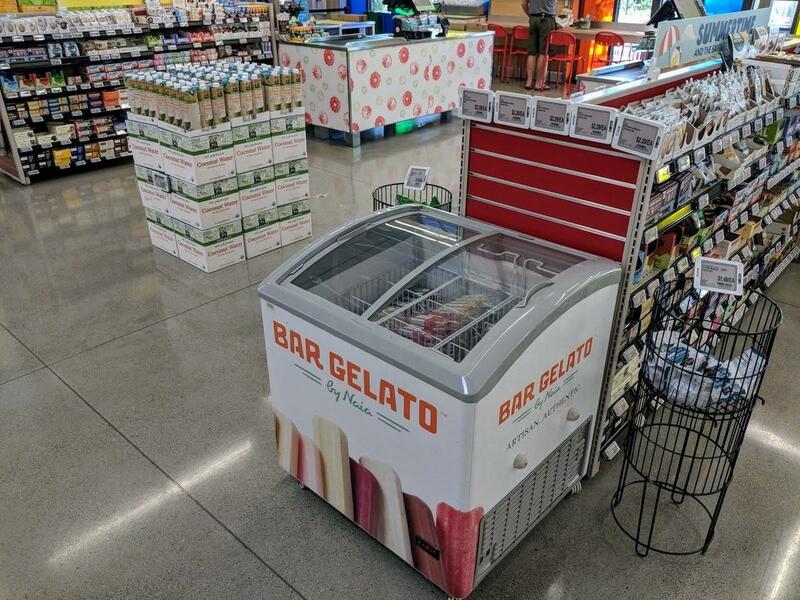 We have already received a lot of industry feedback on this, and retailers such as Whole Foods Market and Safeway are excited for us to launch, as these retailers love our Bar Gelato and theme-and-variation concept. Having this new kitchen will allow us to meet this capacity easier. Right now, we can do product in pints, or we can do product in bars. We can't do both products in the same day. With the new kitchen, the upgraded creamery scales us to quadruple our bar capacity and allow us to make nearly six times as many pints. We will use the same technology we use now, which is very reliable. But this will go from making product in batches, one batch at a time, to making it continuously, meaning the machine will run all day. We won’t have to keep starting and stopping per batch. Unlike other forms of progress, this basically keeps the same amount of people on our production team to operate this machinery to produce five or six times as much product. That will significantly reduce our cost per unit. Do you have the demand for that increased manufacturing capacity? Chris: A very typical crisis for a food manufacturing company is the “Field of Dreams” narrative for investing in manufacturing capacity — build it and just hope that you're going to find market share, and in the meantime burn through capital as you eat the overhead of extra capacity. There is a strong advantage to our two-pronged approach where we make our own product and also have third-party co-packing business driven by our third-party R&D business. In the past, we've developed products for a third-party but had to turn around and immediately outsource them to other co-packers because we couldn’t make them ourselves. We have one or two of these brands that will allow us to fill in that space along with Naia’s gelato, to fill up some of that unused capacity and so we can more quickly address the overhead expenses than if we were just making our own product. Trevor: We keep our distribution local and focused to Northern California because frankly it’s a fantastic market for innovative and creative brands. But that also drives business, because when we make someone's product, we can instantly get it on shelves. As long as there's some stores that want it, even if it's only five stores on the first day, we're already going to those stores, so we could start selling it on day one. Trevor: Chris and I are the founders who are on the ground here in Northern California. Bobby and Rick live in Canada and they support us from afar. Over the years we’ve built up our best management team yet. Craig is our sales manager and comes at us with nearly forty years of experience in distribution and sales with companies involving dry foods like Loacker’s cookies and other ice cream companies as well. Ray is our distribution manager and boasts 20+ years of experience in distribution and operations, having worked for big names like Coca-Cola, Foster Farms Dairy, and Markstein. Elsa runs our office with nearly 25 years of experience in administration and accounting. And Danny was amongst our first hires 13 years ago, and leads up our catering and order desk. Together we manage the 30 employees of Naia in administration, production, and distribution. Last but not least - what’s the difference between gelato and ice cream? Trevor: In the United States, products like ice cream are heavily regulated with standards of identity. There has to be a certain percentage of butterfat and a certain percentage of overrun (air in the product) for it to identify as ice cream. Gelato has no such standard of identity. While ice cream has to be 10% butterfat, gelato like ours is about 6% butterfat. To give you more context, milk comes out of the cow at about 4.5% butterfat, and a super-premium ice cream like Ben & Jerry's would be between 15% to 16% butterfat. Without a standard of identity, we have some flexibility in how we define gelato, but ours is a romantic approach – dense and intense. We don’t have as much air in the product because of our low butterfat, which means the product is more dense and you get more flavor in every bite. While our mouths love the feel of butterfat — one of the reasons everyone likes ice cream – butterfat masks flavors, which is one of the reasons products like Ben & Jerry's focus on inclusions or chunky stuff. Gelato with lower butterfat is much more about the flavor. We focus on more subtle flavors, which will really “shine through” in our product, whereas they might get lost in a high-butterfat product. It's certainly not health food, but it does have less fat, and because of that, we can also put in less sugar, which is a functional ingredient in ice cream for making it soft enough to scoop. That is if you don't have so much fat, you correspondingly don't have to have so much sugar. Gelato is also more dense. Unlike ice cream which may whip in up to 100% more air into the product, gelato is around 25% more air. You get a lot more in a scoop of gelato than typical ice cream. Chris: We have been associated with Slow Food since the Slow Food Nation 2008 event in Fort Mason, San Francisco. We are big believers in opposing highly processed foods that read great on a nutrition label. Each batch of our gelato takes on average 16 hours of old world processing to craft. Our customers don't need to worry about all that preparation.. but it takes only a few minutes to scoop - we call our gelato "slow food, fast"!The reason the Italians prefer gelato is not that it is a diet food, but because of the emphasis on flavor. For example, if you have a pistachio ice cream, like a Ben & Jerry's pistachio ice cream, it's basically white ice cream with only a few pistachios to make you say, "Okay, yeah, that's pistachio. I get it." By contrast, the Italian recipes really want you to feel that you're eating pistachios, and so it becomes a key ingredient rather than just an added flavor. 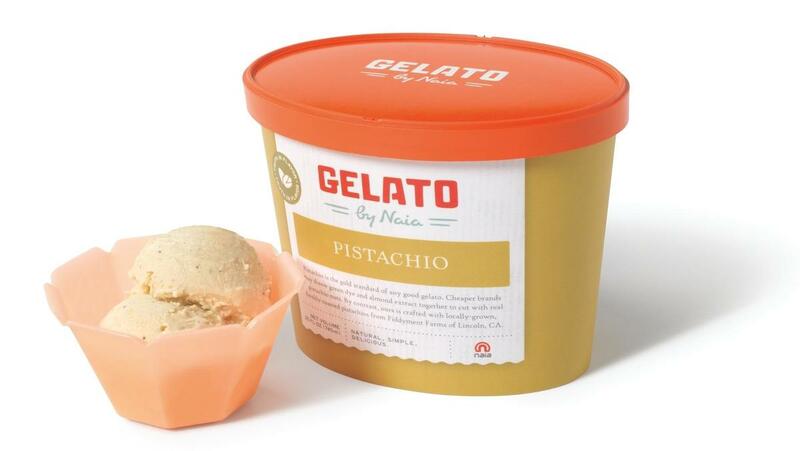 When folks taste Naia’s pistachio gelato they're like, "This doesn't taste like normal pistachio ice cream. This is different. This is pistachio." Naia has financial statements ending December 31 2018. Our cash in hand is $11,376, as of December 2018. Over the three months prior, revenues averaged $158,676/month, cost of goods sold has averaged $89,873/month, and operational expenses have averaged $97,490/month. Naia, Inc. was incorporated in the State of California in January 2013. Sold in 250+ Northern California stores. 51% profit margin for branded products. 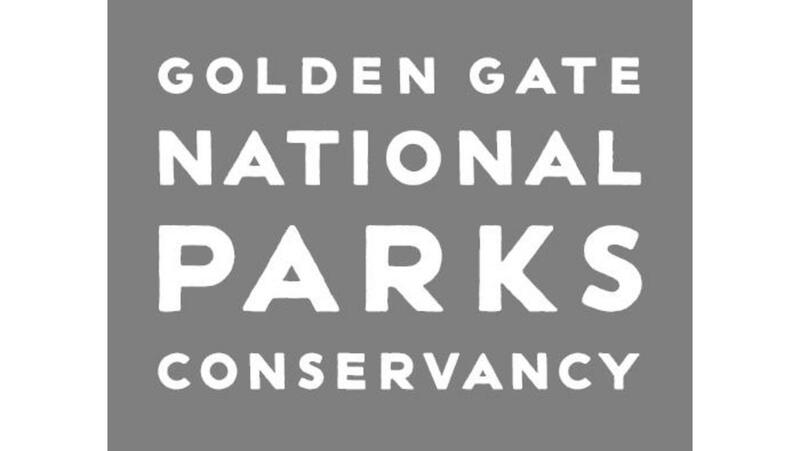 Named in the San Francisco Business Times' fastest-growing private company list each year from 2013-2017. Won three national awards for coffee, pistachio, and burnt caramel flavors. Revenues & Gross Margin. For the period ended December 31, 2018, the Company had revenues of $2,368,688 compared to the year ended December 31, 2017, when the Company had revenues of $2,864,027. Our gross margin was 38.46% in fiscal year 2018, compared to 38.09% in 2017. Assets. As of December 31, 2018, the Company had total assets of $2,099,488, including $11,376 in cash. As of December 31, 2017, the Company had $1,581,349 in total assets, including $13,266 in cash. Net Loss. The Company has had net losses of $465,734 and net losses of $411,234 for the fiscal years ended December 31, 2018 and December 31, 2017, respectively. Liabilities. The Company's liabilities totaled $2,866,782 for the fiscal year ended December 31, 2018 and $1,957,899 for the fiscal year ended December 31, 2017. To-date, the company has been financed with $3,654,154 in debt and $352,500 in equity. We will likely require additional financing in excess of the proceeds from the Offering in order to perform operations over the lifetime of the Company. We plan to raise capital within the next 24 months. Except as otherwise described in this Form C, we do not have additional sources of capital other than the proceeds from the offering. Because of the complexities and uncertainties in establishing a new business strategy, it is not possible to adequately project whether the proceeds of this offering will be sufficient to enable us to implement our strategy. This complexity and uncertainty will be increased if less than the maximum amount of securities offered in this offering is sold. The Company intends to raise additional capital in the future from investors. Although capital may be available for early-stage companies, there is no guarantee that the Company will receive any investments from investors. Naia, Inc. cash in hand is $11,376, as of December 2018. Over the last three months, revenues have averaged $158,676/month, cost of goods sold has averaged $89,873/month, and operational expenses have averaged $97,490/month, for an average burn rate of $28,687 per month. Our intent is to be profitable in 12 months. 1. 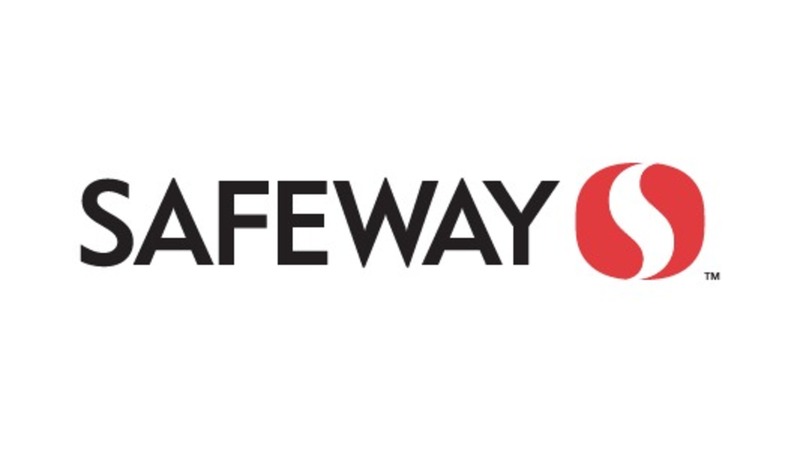 We are continuing to grow the 14oz Pint product to retailers like Safeway (launching April 2019) and Lucky, and to the Southern California region, for example through UNFI. 2. 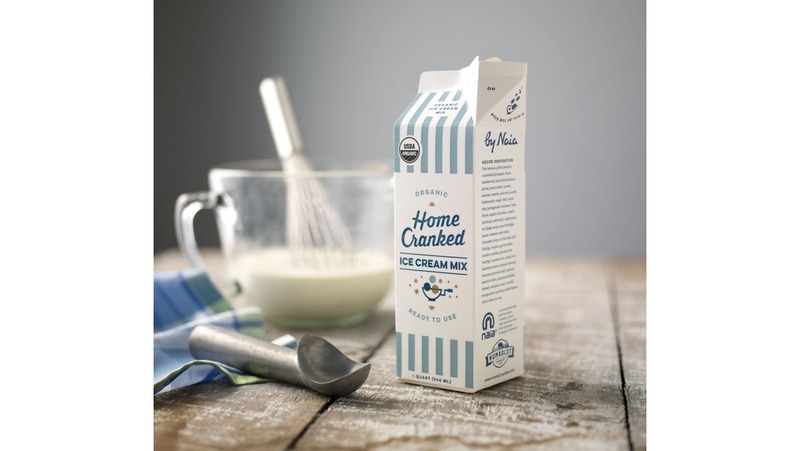 We are re-launching Home Cranked organic ice cream mix in WFM Northern California in May 2019. 3. We are launching our gelato bar box in the Pacific Northwest in summer 2019. For Distribution sales: We are changing our truck mix and no longer carrying Clover Ice Cream for 2019. During construction of the microcreamery (April thru June 2019) revenues and expenses are expected to be inline with last year, but after we open we hope that customer demand for the product will grow our company sales by over 60% while increasing our company expenses by 15%. We are relying on the SBA loan last year for working capital and construction/equipment financing. The materials in this offering contain forward looking statements, which can be identified by the use of forward-looking terminology, such as but not limited to “may”, “intend”, “will”, “anticipate”, “estimate”, “seek”, or “continue” or the negative thereof or other variations thereon or comparable terminology. In particular, any statements, expressed or implied, concerning trends, future operating results, growth, performance, business prospects and opportunities or the ability to generate revenues, income or cash flow are forward-looking statements. These statements reflect management’s current beliefs, including beliefs as to future financial and operating results, and they are based on information currently available to management.
. dilution through future issuance of equity. Forward-looking statements are necessarily based upon a number of estimates and assumptions that, while considered reasonable by management, are inherently subject to known and unknown risks and uncertainties. Such risks include but are not limited to: the impact of general economic conditions, market volatility, fluctuation in costs, and changes to the competitive environment. These factors should be carefully considered and undue reliance should not be placed on forward-looking statements. Although the forward-looking statements are based upon what management believes to be reasonable estimates and assumptions, the company cannot ensure that actual results will not be materially different than those expressed or implied by these forward-looking statements. Unless specifically required by law, the company does not assume any obligation to update or revise these forward-looking statements to reflect new events or circumstances. Naia may never receive a future equity financing or elect to convert the Securities upon such future financing. In addition, Naia may never undergo a liquidity event such as a sale of Naia or an IPO. If neither the conversion of the Securities nor a liquidity event occurs, the Purchasers could be left holding the Securities in perpetuity. The Securities have numerous transfer restrictions and will likely be highly illiquid, with no secondary market on which to sell them. The Securities are not equity interests, have no ownership rights, have no rights to Naia's assets or profits and have no voting rights or ability to direct Naia or its actions. The Company is very dependent on its founding team. If anything catastrophic were to happen to them, the future of the company may be compromised. Two of the officers in the company (Bobby Lee and Rick Reynolds) are part-time officers, which could hurt business operations more than if they were dedicated to the Company full time. The Company has significant outstanding debts with multiple lenders, which could put the Company in a financially unstable condition. Furthermore, the Company is not prohibited from taking on further debts, which may impact it's ability to grow and generate revues moving forward. The Company is using the majority of the proceeds from this offering to secure a loan with the SBA. Should the company not be able to secure the SBA loan, it's growth and revenues may be impacted. The Company faces competition with respect to our key products that we seek to develop or commercialize in the future. Many of our competitors have significantly greater financial, development and human resources and superior expertise in our industry. These competitors may also in the future compete with us in recruiting and retaining qualified personnel and acquiring talent. Smaller or early stage companies may also prove to be significant competitors, particularly through collaborative arrangements with large and established companies. Accordingly, our competitors may commercialize products more rapidly or effectively than we are able to, which would adversely affect our competitive position, the likelihood that our products will generate meaningful additional revenues. 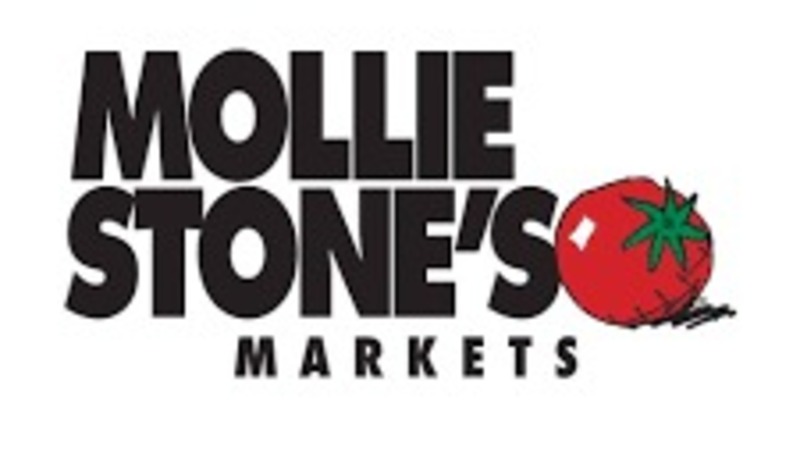 The Company has key distribution relationships with several retailers, including Whole Foods, Safeway, and Mollie Stone's. Any interruption in these relationships could have material negative impact on our ability to sell our product, as well as generate revenue for our business. 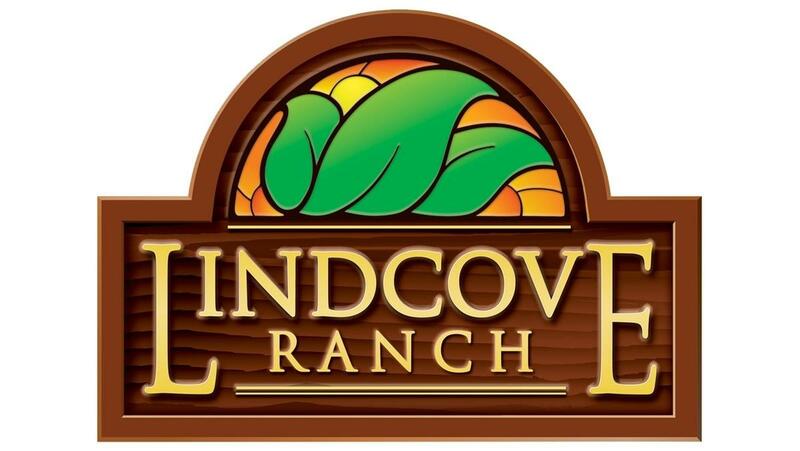 The Company has key distribution relationships with several suppliers, including Clover Farms. Any interruption in these relationships could have material negative impact on our ability to sell product, as well as generate revenue for our business. The operations of the Company are reliant on production equipment, which can be costly to maintain and replace. Unpredicted equipment failure could lead to increased operating costs and a delay in production. Increased costs and delays in production could damage the Company from both a financial and reputation perspective. $474,000 $450,000 - an SBA Loan down payment or "equity injection" to unlock a $1.9 million loan that we've already been approved for. We then plan to use the SBA loan capital to: 1. 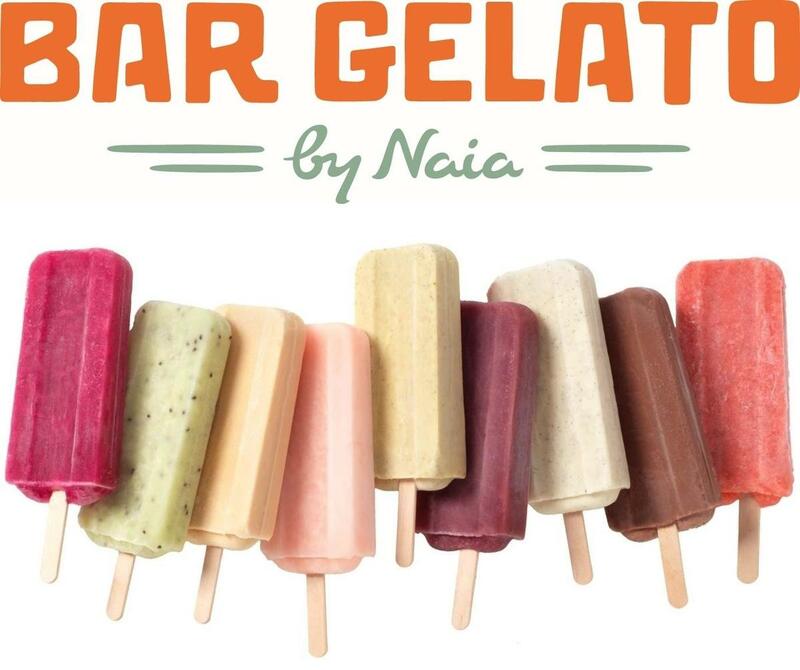 Cover marketing costs and tradespend to launch new Bar Gelato and Naia products! 2. Purchase, construct and equip a state-of-the-art microcreamery which we hope will increase our product line and capacity 3. Reduce our monthly expenses in part by refinancing our existing debt. The remainder of the $474k will go toward the 5% Wefunder intermediary fee and other costs associated with. the raise. $895,000 $850,000 - Beyond the SBA loan, we will use the additional funds raised (up to $400k more) for additional working capital in order to settle purchases of inventory of finished goods, increase tradespend to attract sales, and accelerate our national push by hiring additional members of our salesforce.The remainder of the $895k will go toward the 5% Wefunder intermediary fee and other costs associated with. the raise. I am a cautious investor, in general. But I believe in you! I can't wait to have some Naia gelato here in Georgia! Hi, I came across this deal through Queen's Alumni group. What a lovely find-- I love ice cream, an essential ingredient for living a fun life, especially the ones that are crafted with love and care. Always happy to support Queen's graduates. I live in Vancouver, BC, Canada, thus have not yet gotten a chance to try the product, will definitely hunt them down next time I am in Northern California! Good Luck! 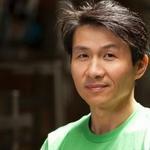 A trained biochemist with passion for tea, coffee, and real food. Fascinated with technology. Hi Chris, Hi Trevor, My name is Mariese Heitkamp, and I don’t know if Trevor still remembers me. I used to own a cafe named Creekside Bistro in San Leandro, and we used to carry your products (first your gelato, and then the bars). After I sold the cafe, I worked for a couple of years in Half Moon Bay, and still placed an order for peach sorbet which we picked up. I always believed in your product and I still do! This is my first investment (through Wefunder), and I could not have picked a better product! I wish you guys all the best! Hello Chris and Trevor! it was last minute, but I wanted to make sure I got in. Label Art loves your company and loves making your labels. We hope to be part of the action with you for a long time. Remember we can always trade labels for gelato. Good Luck and Congratulations! Hello my name is Kwame Rivera I’m very excited in investing with you hope this turns out great . I live in San Francisco, and I've been trying out the various flavors of Bar Gelato at Whole Foods for years. I would love to taste test new flavors. I had the first Naia gelato bar 4 years ago when I moved to Bay Area! Pistachio is my favorite! I am excited to see Naia plan to go national wide! Hi, I’m David Tessler. Let me know if you need any help with writing promotional materials. If my schedule permits, I’ll be glad to help out. I also have extensive experience in tech writing. Hi, We are Mark and Jannet Benz (yes 2 n's) from Fremont. We enjoyed your scoop shop in Walnut Creek and bought many cones at Whole Foods in Napa years ago. I'm a Sr. Staff Spacecraft Systems Engineer at Lockheed, and Jannet is retired from HR Director for VISA. If you want HR help for the expansion, let her know! Hey Guys, I’m in. Good luck, and looking forward to watching your company co tinye to grow. Hi Chris and Trevor, my wife Sylvia and I are big fans of your products. We were excited to have an opportunity to invest in this raise. Sylvia is a manufacturing engineer and she's looking forward to the factory tour. Excited to be a part of the Naia journey! 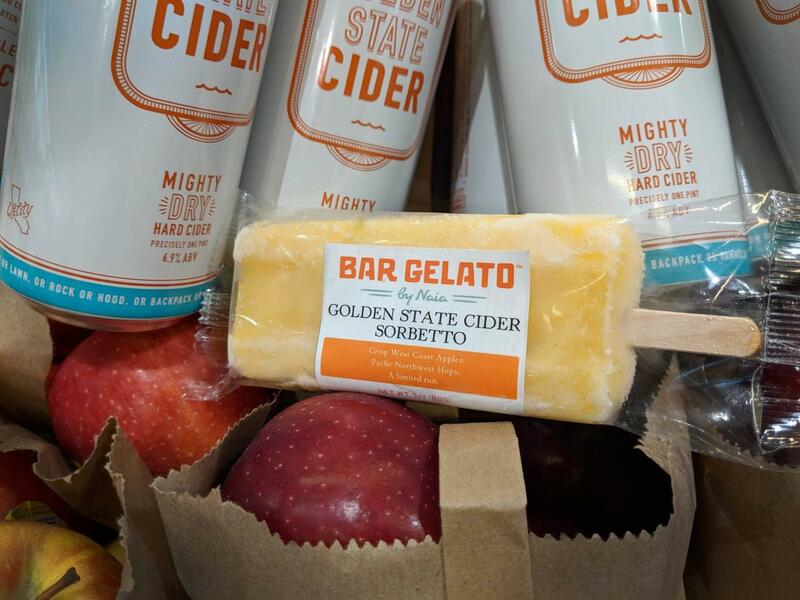 I discovered your Bar Gelato products in Sacramento and loved them. I used to see them at Corti Bros here too. Happy to support you and would love to learn more. This gelato spot offers cones, cups and even bars of gelato! Various flavors from vanilla to whiskey, you’re bound to fall in love with one and if you can’t just pick one get their option of three! After realizing there was not one decent scoop of gelato in the Bay Area, the owners decided to make their own. After traveling to Italy and meeting with master artisans, they started making their small-batch gelato by hand. People haven't stopped coming back since. What's popular: Ube (Peruvian). What you should get: Zabajone and Nocciola. Trevor Morris and Chris Tan are the uniquely comedic and inspirational geniuses behind Gelateria Naia. Founded in Berkeley, Naia’s creative culinary creations are now available all over the Bay and beyond in seasonal flavors, like Guavasteen, Key Lime, and Blood Orange, and favorite staples, like Blue Bottle Coffee, St. George’s Spirits Whiskey, and, of course, TCHO Chocolate. All sourced from the most fresh, local ingredients. And all mouth-wateringly delicious. 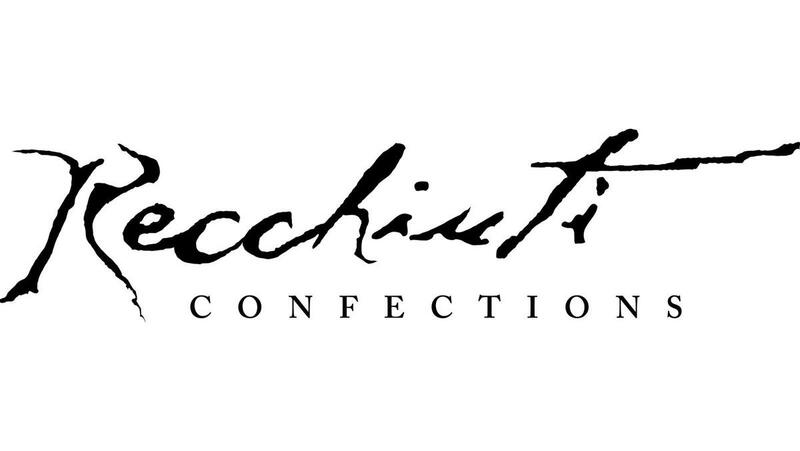 Together, Chris & Trevor have created what’s undoubtedly the best gelato in the Bay Area. 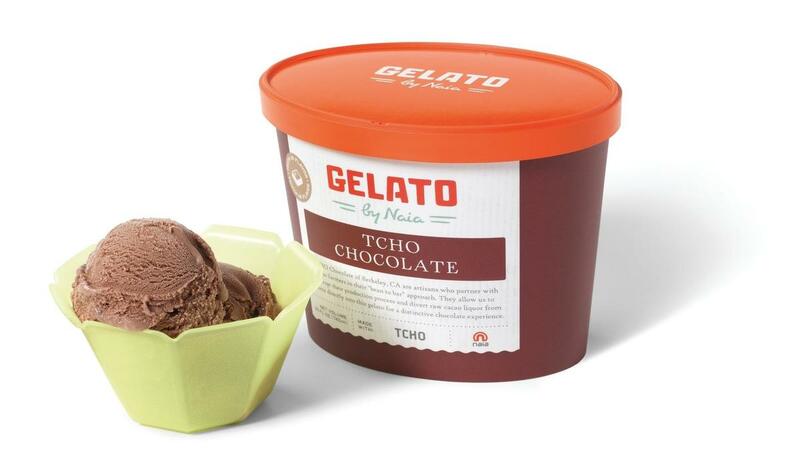 And what’s equally undoubtedly another perfect pair — Gelateria Naia & TCHO. Gelateria Naia actually. In Little Italy (makes sense!) or Walnut Creek, flavors with an Italian twist (Stracciatella, Zabajone and Nocciola) and fruity sorbets. Sweeten things up and try Gelateria Naia for gelato. This place offers real gelato from scratch recipes using all-natural, whole ingredients. Naia specializes in Sicilian gelato, so if you've never been to Italy this is a good place to train. At Working Solutions, we are proud to have three clients dedicated to the production of outstanding ice cream or gelato products: Gelateria Naia (Hercules): Founded by three friends who wanted to bring Italian-style gelato to the Bay Area, these gelato artisans opened their first location in 2002 and now can be found at locations around the Bay Area and in Whole Foods stores. Among the simplest and most compelling of the thousands of products at last week’s Fancy Food Show at the Javits Center was a simple container of ice cream base. It was a blend of organic milk, cream, sugar and egg yolks to make ice cream at home, something like the mixtures that many ice cream shops use, but not something home cooks can usually buy. Churn it with the flavors of your choice for 14 percent butterfat French (custard-based) ice cream. Naia Home Cranked ice cream mix. SF’s best gelato shop options: #1 Gelateria Naia This candy-colored North Beach shop is a popular follow-up to a pie at Tony's Pizza Napoletana around the corner. (Facing hour-plus wait times, some break down and make Naia gelato an appetizer.) The brand's co-founders, Trevor Morris and Chris Tan, learned to make gelato the old-school way, from Italian master artisans. They still make everything by hand in small batches, both to ensure freshness and to give themselves the chance to experiment with wacky flavors like cannoli, Bosc pear, Zabaione and rose. 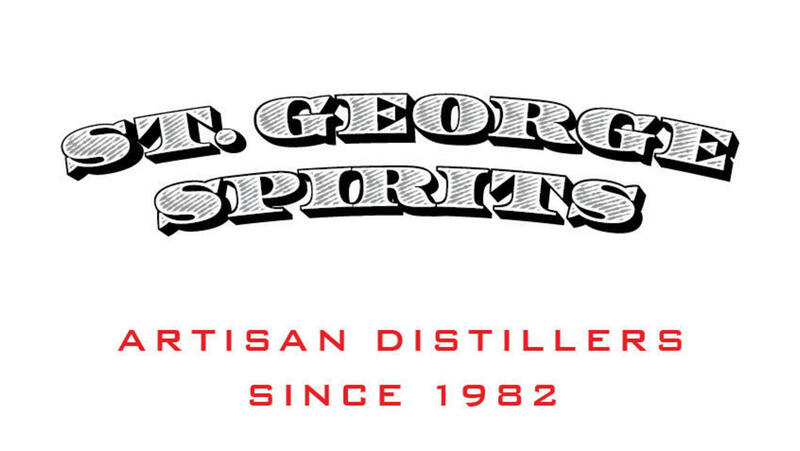 In particular, the pair is fond of collaborating with local distilleries and breweries to create boozy flavors like St. George absinthe and 21st Amendment beer. Pistachio Bar Gelato, $3, at Gelateria Naia Gelato gets the Popsicle treatment thanks to Gelateria Naia. There, you’ll find flavors like kiwi, St. George single-malt whiskey, and even one made from Blue Bottle coffee. 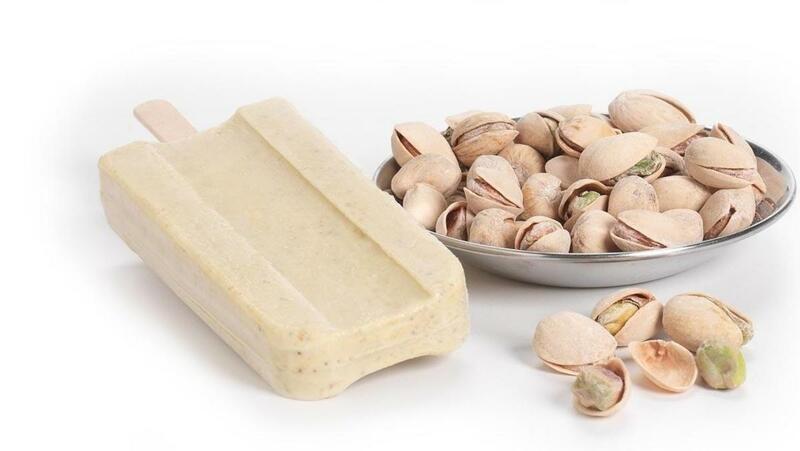 But, the real winner here is the pistachio pop, made from milk, sugar, pistachios, cream, eggs, and carob flour. Thanks to its extra-velvety texture, it lasts longer than other icy versions — a good thing, because you’ll wish it will never end. #1. Gelateria Naia Nutella is a signature flavor at this charming North Beach gelateria. Take a cup to go and enjoy it in Washington Square Park. Trevor Morris grew up on a dairy farm milking cows, then was in the restaurant business. He got into gelato after a vacation in Italy. Mondays can be rough, and sometimes it takes a stiff drink or a creamy pint of ice cream to shake off the beginning-of-the-week blues. Tonight, you won't have to choose between alcohol or dairy based indulgences. North Beach's Gelateria Naia location is throwing an all-you-can-eat very happy hour featuring 20 different liquor-infused gelato flavors. When the 10-year lease on Gelateria Naia's flagship store ran out in 2012, co-owners Chris Tan and Trevor Morris had two choices. They could either hold on to the legacy retail business or accelerate the more lucrative wholesale expansion. Closing the Berkeley store was painful, Tan said, but it was the right move. Here are just a few places where you can enjoy gelato in the San Francisco Bay Area: Gelateria Naia (North Beach - Castro - East Bay). Berkeley-based Naia has won more than a few taste tests. The three founders are friends who traveled all over the world and everywhere they went, they had to try the gelato. They met with and learned from master gelato artisans from Italy and took professional university courses. There are only two simple components for their outstanding gelato: pure, natural ingredients and small, artisanal batches. Gelato is made by hand and always enjoyed fresh. The flavors are true to their origins. Hazelnut tastes like hazelnut, not like hazelnut flavoring. The texture is always creamy, and the selection is vast enough to encourage experimentation. This business has attracted celebrities over the years, and its location in North Beach is very easy to find. 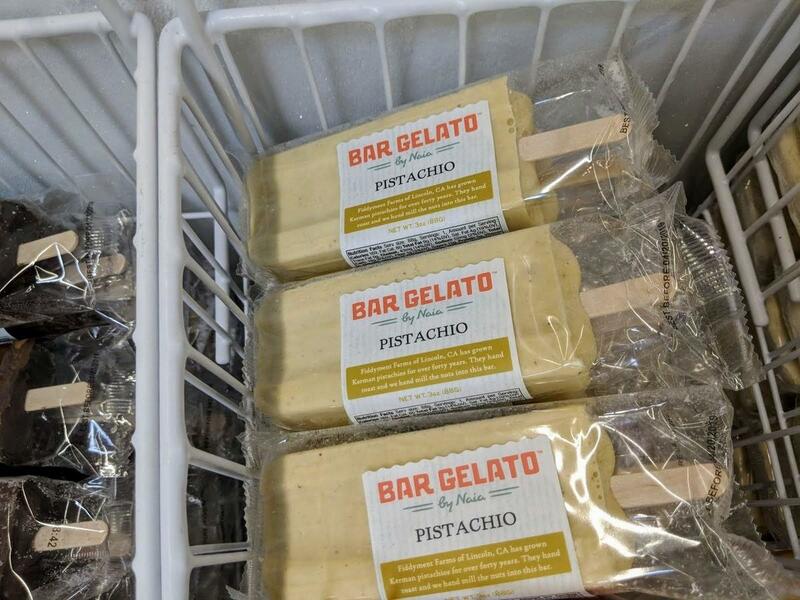 Bar Gelato: In May of this year, local scoop shop Gelateria Naia got into the game with Bar Gelato, a line of popsicles that uses the very same gelato they scoop at their 18 Northern California scoop shops. Many of their flavors are compilation projects with other local businesses. There's TCHO Chocolate, St. George Spirits Single Malt, Numi Jasmine and Blue Bottle Coffee. 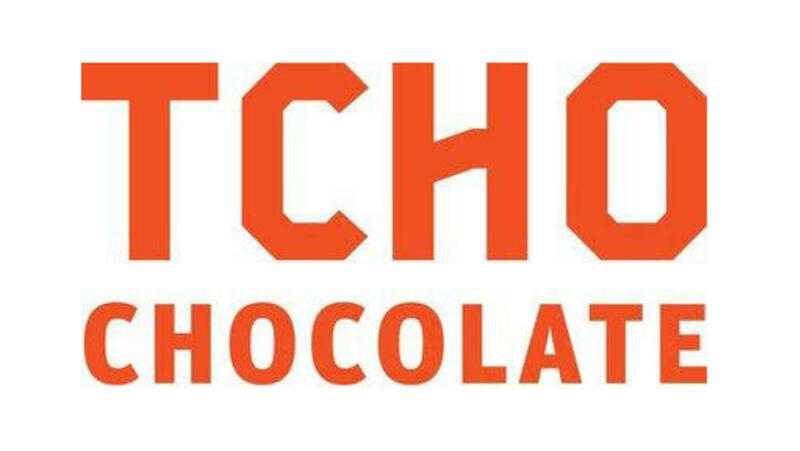 Find them at the Academy of Sciences, the TCHO Chocolate Beta Store and the Whole Foods locations listed out here. This amazing gelato company was founded by fellow travelers who sampled this historical frozen dessert wherever they went. (Did you know gelato dates back to the 16thcentury?) They wondered why they couldn’t find a great scoop of gelato back at home in the Bay Area and they set out to change that! The result? A high-quality, unique product made by hand in small batches that’s now sold in many Whole Foods Market gelato bars in Northern California, as well as in their own Gelateria Naia stores in the San Francisco Bay Area. While Mara’s sticks mostly with the basics, Gelateria Naia across the street is more imaginative, with flavors ranging from biscotti to Numi Tea Aged Earl Grey. In these times of economic peril and Prop 8 controversy, some local businesses are, thankfully, concentrating on what's really important: the state's official definition of the word "gelato." Gelateria Naia, the Bay Area gelato chain with locations in North Beach, Berkeley and the Castro, has put forth a petition to the California Food and Agriculture Department to create a standard for gelato. Thanks for vouching for Chris! If you'd like to invest in Chris, please open an account. We'll waive your fees if you do it now. We asked Chris for 10 personal references. Can you vouch for Chris?